The latest Autumn issue #3 of the Transition Free Press, a quarterly newspaper launched earlier this year about environmental and economic issues, is now on sale in Walthamstow. And having read it from cover to cover I reckon its by far the best issue yet. Its packed full of thought provoking and inspirational articles. As well as giving a unique Transition twist on news, the range of articles demonstrates how the Transition approach can touch and enrich almost every aspect of our lives by offering creative & joyful alternatives, and that Transition Initiatives now span the globe. There are articles on China’s “carbon revolution”, the threats from EU legislation to the growing number of community seed swaps, the top 20 Transition enterprises, peak wild fish, ‘SEE Change’ – a fusion of resilience and co-operative principles, a bike trailer loan scheme, and a discussion with George Mombiot on ‘rewilding’. This issue also carries stories which makes me realise how fortunate we are in Walthamstow, including the Real Bread Campaign (we have our own champions – the Hornbeam Bakers’ Collective), workers coops (Organiclea is a great example in Waltham Forest), and renewable energy (we have GREEN – solar PV via community shares). 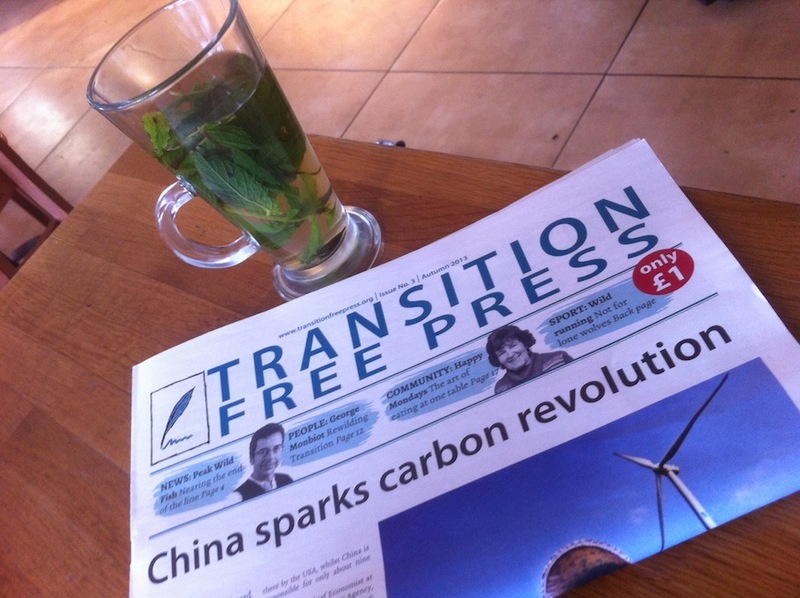 The Transition Free press costs just £1 for 24 pages, and is available from the Hornbeam Cafe, and at Transition Walthamstow events. Or email transitionwalthamstow@gmail.com to arrange an adhoc collection opportunity. You can find out more about the Transition Free Press here.